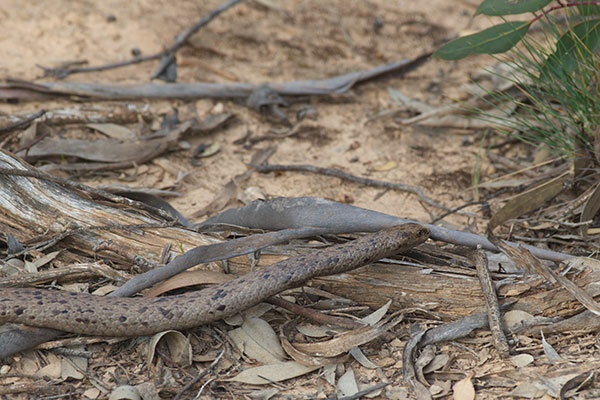 Of the various highly venomous brown snakes of Australia, this is one of the most interestingly patterned. 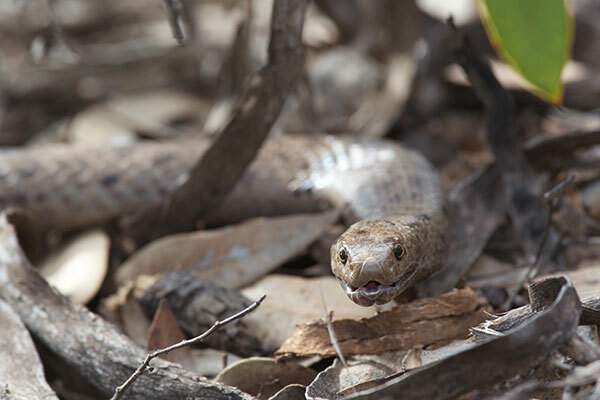 The apparently randomized dark spots against a medium-brown background make for excellent camouflage in the leaf litter. 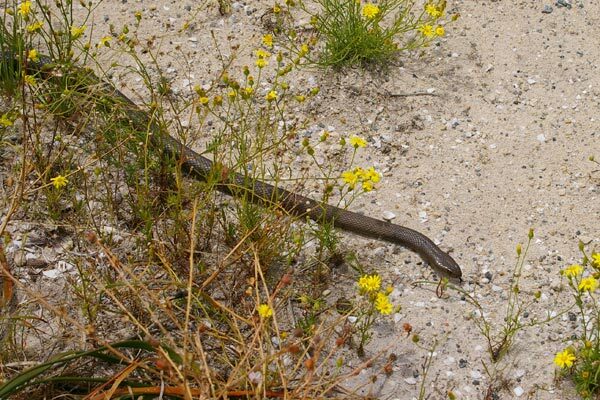 I tried to learn the origin of the interesting name "dugite", but all I managed to learn was that the Noongar word for "dugite" is "dobitj", which really didn't help. Rottnest Island is near Perth, the only big city on Australia's west coast. It's been used for various purposes over the years, including farming, a prison for Aborigines, and a military post. For the last 150 years or so it's been used primarily as a holiday resort for the denizens of Perth. Fortunately it's been kept mostly undeveloped, with almost all of the buildings confined to a small settlement on one end of the island. The rest of the island has a lot of undeveloped habitat for wildlife, which can be easily traversed on bicycle. 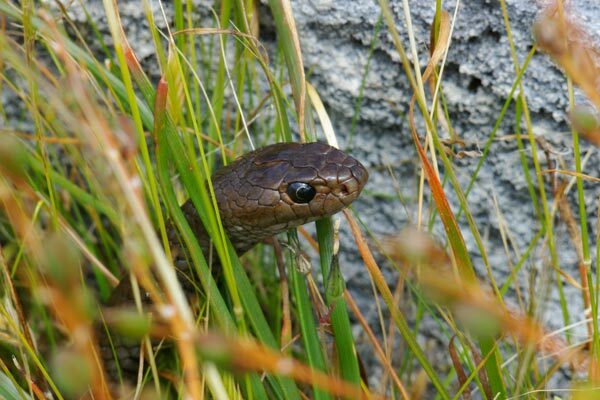 We saw two of these fairly drab but highly venomous snakes in our one afternoon on the island. 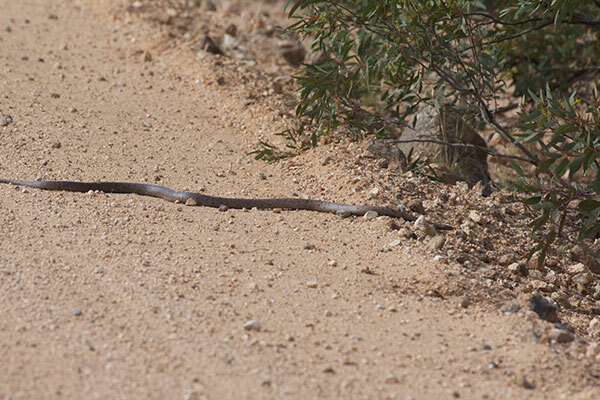 I spotted the first one meandering about near the side of the road just after cycling past a well-placed sign warning about venomous snakes. My friend Don MacCubbin spotted the second one an hour or so later. 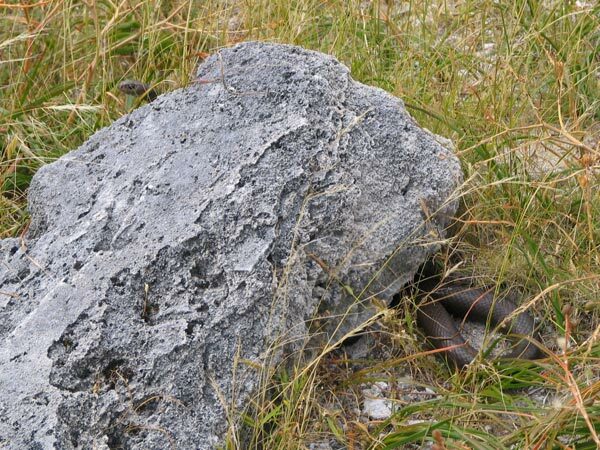 This second one was poking around under a rock, presumably looking for tasty lizards or rodents, until it became alerted to our presence, whereupon it gave us some annoyed cobra-like poses.